Wolf may not as powerful as lion or tiger, but them can fight even in desperation. 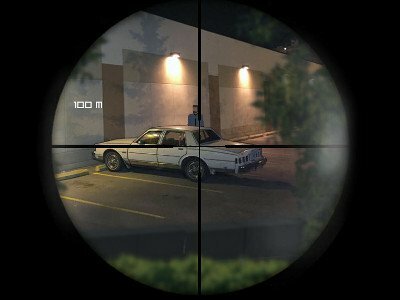 Lonewolf is a classic point and shoot puzzle game, your are the most professional kill and take on a series of task, and the game is aout to finish the mission and kill your target, use your mouse to aim and shot, you zan zoom in or out with W/S key and remember, as the killer sometimes you have only one shot if you miss, then the mission has failed and your life maybe in danger. Be patient and be good. You can play Lonewolf free online shooting games at fogames. It has tags: Action,Sniper,Murder,Shooting. It has 9166 total plays and has been rated 95.3% (113 like and 17 dislike), find the fun and happy day. If you want to play more shooting games, we find some of the game: Emma: Zombie Defense!, Happy Wheels, Fleeing the Complex and Stealing The Diamond. To play other games, go to the action games page, the sniper games page, or just check out the new games or best games page. Play Lonewolf online games, Fun and Happy.